Grant's reputation for "corruption" is based entirely on his committing two sins: (1) he insisted that the government actually keep accounts, and (2) he called the bluff of the St. Louis Germans who were furious at his being willing to allow the accounting to include a review of the excise tax accounts that had been their own private slush fund. Trump seems to be going down that same path towards academic reputational hell. He is actually going to audit the DOD. Reminds me of that sub-plot in the movie last emperor when Pu Yi asked for an audit of the family's warehouses since he didn't trust the eunuchs who had been administrators to the family for decades (centuries?) and suddenly a day later, everything went up in flames. Mr. Stefan's point is this, Ralph. I was a rookie trading the Nazz. SOES, Daytek and my first backer now in heaven. We had an amazing edge, in execution. There was five 25 year olds sayin, "this can't last! How do I pay the rent much less support my Austin, Lack?" Magic words… "The warehouses are full" Hugs tech bubble. Limit up every week. We make selling them only when we are certain. That was the point. You made the call. Plz. Never call the turn. We all know. My daughter is starting her first professional job as TV producer. What advice would you give some one just starting? Work very hard and long hours the first six months. Then she can dial back to a normal level, but she will have established in everyone's mind that she is a hard worker. I would say, study your superiors ruthlessly and choose one as a mentor who is successful, well mannered, and genuinely cares for others. Working with a good one is a career accelerator. Working with a bad one especially your boss is an anchor which will affect you for years. Also, get into a Toastmasters asap. I believe they have the most well structured program for both "Competent Communication" and "Competent Leadership", two of their formal tracks. It is an effective, cheap and low time way to boost your skills and resume. One of their meeting activities is impromptu speech giving of 1-3 minutes called Table Topics. It is a great exercise in thinking on your feet. Learn the mike heads and technicians' jobs well enough to understand what bad producers do that drives them crazy and what good producers do that makes their lives if she learns to do the actual job well Enough that the crews and reporters want her, the career will take care of itself. Having been in radio, "microphone sense" lacks in many. Learn how to use the different ones like lavaliere, unidirectional, correct cough guards etc. if your sound guy hates you, you are dead. Bad sound is worse than bad video to audience. Toastmasters is also great. I'm a mentor in one here. Also, if she's serious take sone acting lessons so she learns how to direct and take direction. Oh, and be very very lucky. Move markets, up the ladder asap. If she's good, she'll make a marine's travels seem modest. Lastly, never ever date talent. I always liked this slogan: "Who must do the hard things? Those who can." Business/career version: "How much are we going to have to pay the person who does the hard things? Whatever they charge." 1. Avoid any and all social interactions with coworkers - don't even be willing to go to lunch with them. Completely separate work and social life, and leave NO intersection. If it was your son rather than your daughter, I would extend this to include not even making eye contact with females at the workplace, and, inasmuch as is possible, avoid interactions with them. Remember what country and century you are in. It may all sound a little extreme but there is nothing to be gained by violating these rules. 2. The moment she has the slightest hint of any marketable skill, find a third-party agency to begin shopping her around to the next job. Most upward progress comes from the outside, and she should always have aces to play, ever be without an offer sitting on the table. Jobs in the 21st century are wasting assets, vanish and disappear to those not nimble. While it's not always easy to do, if you can listen to the people who don't like you, it can be very valuable because they won't sugarcoat it and they will give you feedback nobody else will. 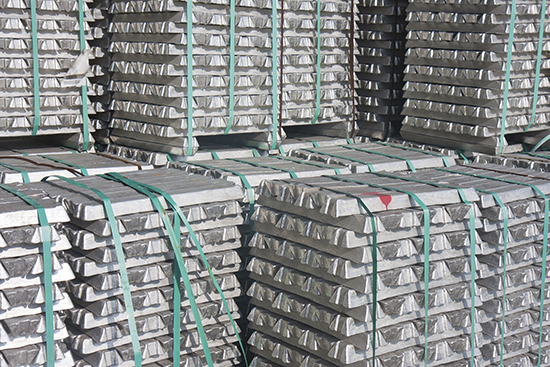 "Chinese Billionaire linked to giant aluminum stockpile in mexican desert"
This is one of many ways to get capital out of the country, Ken Rogoff highlighted others in an article awhile back. I am not in full agreement with the sanguine view on NZ, China, etc. for a variety of lengthy reasons but I thought this piece interesting. As an aside, my sample set is small since I am growing my network with Chinese who are in Toastmasters or employed by foreign firms, but I have rarely met a harder working group of young people. Most are required to work ridiculous amounts of overtime and still find time to go to English language schools, Meetups, Toastmasters like professional organizations and the gym/yoga/run once in a while. And from what I have been told by a few western employers, hiring people with advanced degrees and strong professional/personal motivations costs peanuts. That having been said, they are no fools and will jump ship for a small increase in salary. Loyalty means nothing if the employer is going to underpay for any length of time. Maybe I forgot what it means to be young and give everything to an employer/cause/dream. The bottom line is underlying the grossly inefficient state-owned enterprise system are some stars in the making benchmarked on a world scale who can be hired for a relative pittance. 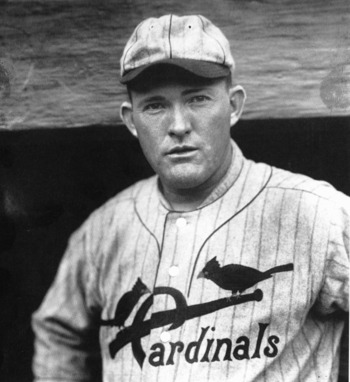 These are hard times for those of us who live in a Rogers Hornsby world. When asked what he did after the baseball season, Hornsby replied, "Look out the window and wait until spring". Note: he said spring, not spring training. It is only baseball when the games count. So, one is left with the short-timer calendar and idle thoughts. Since 1973 the free and easy money of the world has come from one source: the Middle Eastern oil fields. For the third of a century after the embargo that quadrupled the "normal" price of oil, the spread between what it cost to produce the black gold and what it reliably sold for was never less than 20 times the profit margins of everyone else's business. The collapse in prices in 2008-2009 was the first time that the sovereign wealth funds of the oil-exporting countries had had to examine the question of what to sell rather than what to buy. The current episode is a repeat, with the added pressure of the end of the Iranian embargo. Is there any free and easy money left? The answer may be "yes, but not from energy but from American business itself". The Byron Wiens of this world have no idea of what regulation and taxation do to "average" profit margins. How could they? They live in a city where space itself is rationed by the government. If Mr. Wien's prediction about the Queen of the Night's election proves false, we may have one of those infrequent "ah-hah" moments in American political history when a significant number of the regulators are sent packing. Grant's election in 1868 was one; the Schlesingeristas in academia are still trying to square the circle of how the last third of the 19th century saw the country's greatest ever explosion of wealth, immigration and technology during a period of what they called "ruinous deflation". Harding and Coolidge's election in 1920 was another. 2016 might be yet another. After all, it is another even year. Go Giants! Every seven years, roughly, since 1973/4 at least, we have seen spots of liquidity vacuums, and as I have made mention on here before, it's the liquidity vacuums that re the thing to fear, not the proverbial "bear markets" (though they can coincide, see 80/81). Yes, 94 wasn't much of anything, but the recent action (go look at the opening on big, broad stocks on August 24, 2015) and it all fits the cyclical pattern of 7 year liquidity messes (and translates out into the future years of troubling asteroid flyby's coming up). Is the liquidity vacuum that began in August over? Or do we have another wave coming? Either way, every single one of these situations we have seen, the market has moved on to higher highs in very short order, and I can;t find any compelling reason for that not to be the case here. The three pillars: playing much, suffering much, and studying much– these are the three pillars of learning. Market and board players should not rely too much on the computer. Something new might arise and they might have to think. Checkers is so simple– it is difficult. Chess is so difficult, it is simple. (What is the simplest market, the simplest technique. The tall basketballer from Harvard who started with me liked to buy the open to 11 breakout in all markets). These are 10 of the 5,000 proverbs that Tom wrote for us during the 20 years he gave us lessons. He wrote 25 books, and always said that the book he wrote based on these proverbs would be his best book. He'd always look around wistfully after saying that: "the one thing I wished is that I married a girl like Susan". Then he'd shake his head sadly. 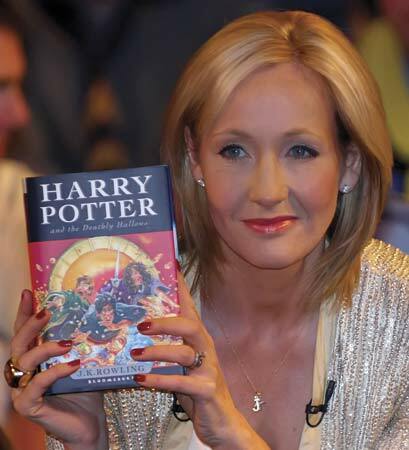 "But if I had, I might not have written the 25 books." Like my mother used to say, Mr. Wiswell's first quote gave me goose bumps. How many times will we decide we need to focus on one position to the detriment of the successful mix reminding of the term "perfect is the enemy of the good"? I think perfectionism is dangerous. In trading it leads to procrastination. For example, we can view any system as 3-dimensional cube: (dim "a") p of winning; (dim "b") avgWin/avgLoss; (dim "c") number of opportunities. Retail traders usually love high "a". But high "a" usually reduces "b" (we can also inflate "a" by faster exits/targets pushing "b" down). But in case that one is lucky and finds something with high "a" and "b", "c" typically gets killed (valid also outside of trading). Less perfect models with lower "a" and higher "c" usually make more money on both absolute and risk-adjusted basis. If pride goeth before the fall, what is the opposite for the individual spec? The logical contrapositive to "if you have pride first then you fall" is "if you win then you had lasting humility". I believe this is what most of the great coaches teach. For example, Wooden, and Bobby Knight both espouse you have to prepare and practice like your team is the least talented and least "gifted" players or team out there. Then come game time believe your players/team is the most prepared confident in execution team on the court. In other words, practice is the time for the players to think and work and believe in the coach's system. Game time is the time to enjoy the flow and automatize and let the coach worry about the thinking. For runners I would say have a plan, believe in the plan, stick with the plan and then the racing is easy. "A look at Chinese infrastructure worldwide: China Is Building the Most Extensive Global Commercial-Military Empire in History"
I will be speaking there in a few days so did this forecast of their market. Still looks like more rally to come. I spoke at a huge mining conference last fall and was amazed by China: BIG, teaming, gets things done, has all the latest technology, awful pollution. Despite many warnings from Western economists of Impending real estate implosion, Local government debt, Shadow banking, and Unregulated shark loans; China has kept its momentum. I think optimism on their stocks that may lead to a bubble that exceeds 2008 is likely. China is positioning themselves to be the world's primary source for commercial nuclear power technologies. They bought their IP from the French and the Americans. They improved on that IP to form their own brand. In the process, they lowered construction costs. Of course, they will attempt to make it on operations and services. It appears China's biggest competitor is Korea. Their next biggest competitor appears to be Russia. While painful to acknowledge, American and European technologies are not competitive. This is a great article on John Wooden: "Be a Coach First, Manager Second"
"The Nazis interrupted her studies. She finally got her medical degree — at age 102". B: the LoBagola completed (just about) in Bund futures a little while back this AM. 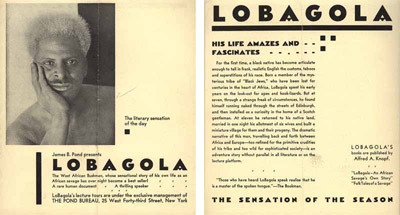 When related but different markets are experiencing a relatively high/unusual degree of co-movement, might the relative duration taken to 'LoBagola'/ reverse in each market be predictive? As usual, I am trying to write words while there are only numbers, functions and classes in my head. So, put another way, might not the relative speed of reversal back to an initial market price be predictive for some future time period during periods of extended and robust co-movement? well, on what happened last couple of weeks. The contrary trade gained speed as it continued to be helped both verbally and pyramidicly. In the process, the EUR began to look more and more attractive correspondingly. Eventually, the high velocity moves in both rates and currency disrupted the equities peaceful drift. So you got the moment of all three moving in the same painful direction. Sounds poetic looking in the rearview mirror. Well Gartman is in print for a big decline "we've all been waiting for" and Faber says 40% down. The prechter alert is only given at extreme lows for full contrary buy action. He will be wheelbarrowed up to a CNBC camera on the day of the low, if not the hour of the low. Hearkening back to weather stories from edspec, I saw on twitter: a Chilean volcano erupts. I saw a sign reading "abandon all hope" in the SPU on Tuesday and crude yesterday. What other markets leave ye hopeless and without funds before torturing ye by taking a path to all time highs. How can this be quantified. Only caught it on the periphery through news stories (thankfully). Cattle was a house of pain the last 2 weeks. This amazing video shows the moment the Team Vestas Wind crashed their 65-foot racing yacht into a reef in the middle of the Indian Ocean during the Volvo Ocean Race. Lately in the news they like to say that "the market will not stop falling until the last optimist, the last bull, goes belly up". Abelson said that that continuously in his columns for about 50 years. 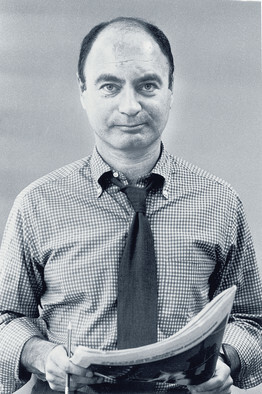 (I don't have the 25,000 columns of his I had to read before writing that he had never been bullish once during the 50 years of his columns before proving that the gist of what I said was true). No one except me would say that the market will not stop its incessant 70,000 fold gain from 1890 until the last short selling fund and chronic bears cries uncle. The canary in the coal mine will be when Elliott Wave folks shutter the shop. 50 years of articulate skepticism is worthy of respect! Given the trail of blood from exuberant or reckless bulls exiting the arena of which he wrote, there is a cautionary value to such skepticism. For goodness sakes, the man is dead! Actually, given the guest columnists and mechanical nature of the columns, if started to wonder, towards the end, if he had become a nom de plume for the editorial board. My blog posts with all sorts of title headings get about 600 page views. The ones with bullish headings get a slightly lower amount of views, around 550. The ones with bearish headings average around 750 or so. I guess Alan Abelson was a smart man (in his defense) to figure this out a long long way's back, and give the readers what they want to read. I've got to give the Fed kudos (even though I'm not a fan of the tactics). But it should be said that the reasons for the panics were even more ephemeral and contrived. A whole lot of panic cessation with a few choice words and that's all they were. Good weekend all. Very true, a nefarious thought popped in to my head mid-week that the street would enjoy an injection of supercharged vol just to shake up the players a bit before year's end. Supporting it was a friend at Merrill who indicated the firm widely disseminated a piece on global pandemics two weeks prior. Always plenty of conspiracies on the street of dreams. It's tempting to consider information visualization a relatively new field that rose in response to the demands of the Internet generation. "But," argues Manual Lima in The Book of Trees: Visualizing Branches of Knowledge, "as with any domain of knowledge, visualizing is built on a prolonged succession of efforts and events." While it's tempting to look at the recent work, it's critical we understand the long history. 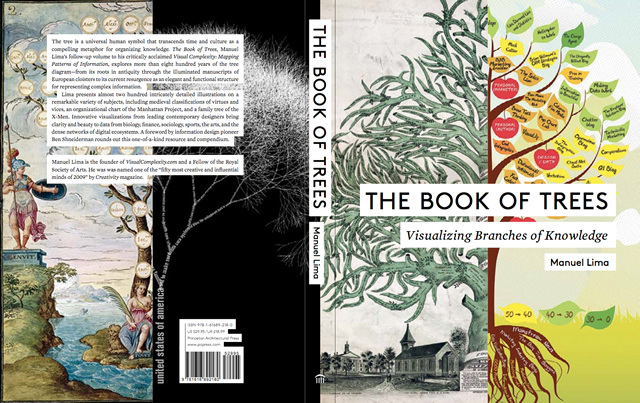 Lima's stunning book helps, covering the fascinating 800-year history of the seemingly simple tree diagram. There is often a tell. In retrospect of course. This time the tell was the hang seng up 2 1/2% on some seemingly ephemeral service survey, presumably doctored. How did Hong Kong know that there would be a Russian settlement? What other tells were there. The morning turned in to a burlesque show for the shorts. They finally gave us a down day. The kind that hurts the most when you're short and waiting for the down day to cover. A very interesting thing I found on twitter today. I will leave you with this thought: "History rhymes?" "Thin markets" was a topic of debate during the 1934-37 rally. This table highlights NYSE Turnover of Shares"
A 6-8 points decline is now called a 'panic'. "Incorrect ISM Manufacturing Survey Briefly Causes Market Panic"
I have seen many of your posts finding trading wisdom from so many other disciplines. I think they are valuable. Here is a relevant one relating to Roger Federer. "Roger Federer May be More Machine than Man". It is not current and you may know this piece already, but fyi. All the best, Fred Rickey. Very interesting consistency stats for Federer. But is it good or bad to be that consistent in trading? As our august surfers on this site have remarked often, i am coming around to the view that trading is more like surfing. Have to watch a number of opportunities pass by until one is right for you then take the risk and stay flexible for the inherent churn, back and forth, sturm und drang caused by the newer HFT players, news/tape bombs and the over-reactors. The minor undercurrents will push you around for no apparent reason. It is as much knowing and developing one's ability to cope as it is having a strong market opinion. A Fed that never delivers surprises? I guess there's also the question of whether the stats are consistent only for Federer, or if this is typical of pro players? Consistency, if it is the equivalent of variance = 0, is, to my way of thinking, certainly something beneficial to the trader. Given that variance, contrary to the generally-held notion that it is somehow (at least an aspect of) risk, is actually a diminishment of returns (i.e. variance is negative average return), then clearly you want as little of that as possible. People generally cannot understand or have difficulty understanding or picturing exponential growth. There is a story about the inventor of chess when the King condescendingly asked him what he wanted for a reward, the inventor replied that he would like the number of grains of rice, which when starting with only one grain, doubled in amount for each square on the chess board. The King laughed and thought he got off so easy. This same inability to picture compounding growth interferes with a long compounding hold of financial assets. The same lack of ability to see compounding growth applies to study of past growth. People understand linear growth more easily. The inability to see compounding growth interferes with the study of nearly everything I might add. We tend to think that evolution is responsible for much if not all of the world that we see, a function of random mutations that have a selective advantage. Consider, after all, the universe is about 18 billion years old. In seconds, this is 60 x 60 x 24 x 365.2425 x 18 x 1,000,000,000 = 5.68e17. "Random mutations with a selective advantage." Yes indeed. A thousand monkeys wailing away on typewriters will eventually happen upon Hamlet. To put the relative differences into perspective, if I could take a thousand monkeys, 18 billion years ago, and permit them 5,000 keystrokes per second, we would have about an even money bet that, without regard to case or punctuation they might, with a probability of about .5, come up with something like "to be or not to be" and much less all of Hamlet. Natural selection, whereas I do not contest its existence, does not explain a whole lot as clearly not enough time has elapsed since the big bang. I'm wrestling constantly these days with allocation structures based on similar matters, where a copula of discrete outcomes (say, the copula of rolling a pair of dice) posses 21 possible, distinct outcomes such that the branch out across elapsed consecutive trials gets unfathomably large quite rapidly. Even with parallel processing (more monkeys, more typewriters) the problem reduces, but the scale remains too enormous still as a result of astounding nature exponential growth. The relatively new field of epigenetics has some very interesting answers to the astute observation that random mutation alone would have taken too long. So, one starts with a "known" fact that is not a fact at all — monkeys sitting at a typewriter writing Hamlet. Then, one proves mathematically that the fact is not probable; and that, in turn, raises a question about the validity of the current best hypothesis for explaining the organic world around us — namely, that through natural competition fortunate mutations win. It seems to me that we are all saddled with two very stupid terms and our minds wear them like blinders - Marx's word for the results of enterprise ("capitalism") and the Darwin's unfortunate choice of the word "selection" for his title. "Evolution", especially in the eyes of its admirers who try to turn its theory into a fact, somehow takes on the certainty of religious moral authority; it "explains" everything just as Marxism does. No, it doesn't; but Darwin's theory does withstand the Shakespeare test. 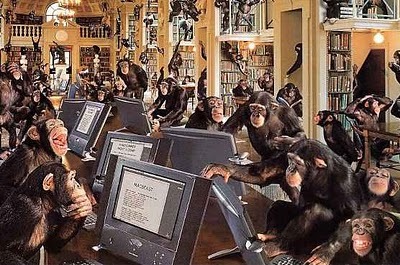 For one thing, there is no evidence that any monkey of sense would go near a typewriter. If Marx fudged the data wherever possible to make history say what did not, in fact, happen, Darwin did the very opposite. He thought there could never be enough data to "prove" his hypothesis; but he did take heart that there was, at least not yet, no data that proved it wrong. He does seem to have realized that he had been proven wrong in his choice for the title for his first edition. But he deserves a pass for that. In choosing On the Origin of Species by Means of Natural Selection, or the Preservation of Favoured Races in the Struggle for Life, he was not endorsing the Southern way of life or Dickens, Carlisle, Kingsley and Ruskin's defense of Governor Eyre. Hardly. Darwin was one of the very few people who had the courage to speak up, along with Huxley, John Bright, and John Stuart Mill. In using the words "race" and "species" Darwin was using the biologist's definition - could male and females produce offspring. In the rare times when he was asked about human "races" Darwin was genuinely bewildered by the question; there was, in his view, demonstrably only one human species/race. That leaves the point HG notes. Useful mutations may have had their randomness accelerated. "According to classical evolutionary theory, phenotypic variation originates from random mutations that are independent of selective pressure. However, recent findings suggest that organisms have evolved mechanisms to influence the timing or genomic location of heritable variability. Hypervariable contingency loci and epigenetic switches increase the variability of specific phenotypes; error-prone DNA replicases produce bursts of variability in times of stress. Interestingly, these mechanisms seem to tune the variability of a given phenotype to match the variability of the acting selective pressure. Although these observations do not undermine Darwin's theory, they suggest that selection and variability are less independent than once thought." We should revisit the Second Law of Thermodynamics, and how some scientists speculate that it enables the formation of life itself. There is some very good peer reviewed literature regarding the second law and life. Anyways, there are some very interesting challenges to Stanley Miller's glass jar filled with water, methane, ammonia, and hydrogen. (I believe he got his PhD from the same place as the Chair). In Miller's experiment, he blasted it with an electric arc for a long time, and out of this primordial soup arose half the amino acids required for life. Fifty years later and biochemists and physicists today are on the verge of creating an artificial organism that meets all the criteria of life. In evolution it's the survival of the fittest, so how come so many species still exist? There are multiple niches in the environment, so species specialize. The famous Darwin finches were shown to adapt their overall size and beak size to different sub-environment both geographically and on the same island. It's the same reason why Toyota doesn't operate supermarkets or Procter and Gamble doesn't own any airlines. It's easier with conglomerates: at least they can get specialized departments, but imagine a lion competing with heat-loving microorganisms in under-water vulcanoes. Now the jumps: just because not all species that died out left any identifiable remains, doesn't mean they didn't exist. The absence of evidence is not evidence of absence. Matter will organize itself when it is in an open system subjected to an energy gradient. See Prigogine's principle. 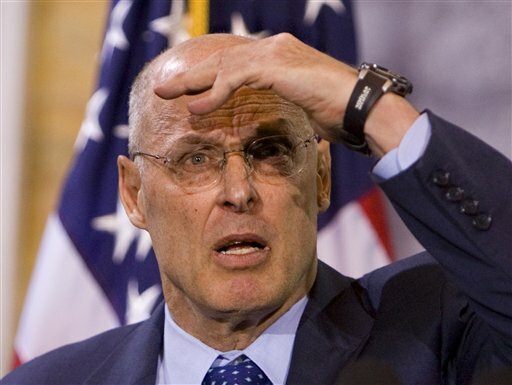 Feb. 04–Henry M. Paulson Jr., the financial firefighter stationed at the epicenter of the biggest financial crisis since the Great Depression, worries that the nation is headed for another crisis because political leaders failed to learn critical lessons from the last one in 2008. In an exclusive interview with The Washington Times, Mr. Paulson, former President George W. Bush's last secretary of the Treasury, said the most serious lapse may be Congress' failure to reform mortgage giants Fannie Mae and Freddie Mac in a way that would revive the private market for mortgages, which has all but disappeared since the crisis. I dreamed that a Sage invited me to Nebraska to play racketball with him. We dined at a McDonalds with Bill Gross and Abraham Briloff. Cherry Coke was served by a very attractive 28 year old woman who was recently appointed the chair of three big companies. Gross immediately said, "My batteries are fully charged and I'm ready to go for another 40 years." The Sage said, "I am ready to complete a super charged acquisition. My gun is loaded." "Apparently neither of us need Viagra. But we've both had our problems with our key men recently." Briloff gave both men a copy of his book "Unaccountable Accounting" and said "please don't fool around with the deferred liabilities on your balance sheet. The Scott and Fetzer acquisition should have been a lesson. The cash flow statement and the income statement show too much of a divergence". The woman led the blind Mr. Briloff to a waiting bus to the airport. I joined him without getting to play a game. On a related note, here's a nice little bit of research and tutorial for the fundamentally inclined. On earnings misrepresentation, CFOs believe that in any given period a remarkable 20% of firms intentionally distort earnings, even though they are adhering to generally accepted accounting principles. The economic magnitude of the misrepresentation is large, averaging about 10% of reported earnings. While most misrepresentation involves earnings overstatement, interestingly, one third of the firms that are misrepresenting performance are low-balling their earnings or reversing a prior intentional overstatement. Finally, CFOs provide a list of red flags that can be used to detect earnings misrepresentation. Related paper: "Earnings Quality: Evidence from the Field"
Teaching Presentation Slides: "A Guide to Earnings Quality"
With the rise of easy profits and all things net 2.0/3.0, I could swear I am starting to see stupider and stupider consumer ideas. It really brings back memories of 1998-2000 although I am more attentive this time around and not involved in the daily sellside grind. I wish I had examples immediately at my fingertips. I will have to try to collect a few. I wish I hadn't written the chapter on poker in edspec. I hadn't played for 30 years when I wrote it, and all I did was read some books from the gamblers book club, and then write about it as a layman, poseur, armchair geezer. I wasted 5 pages of everyone's time on it. And anyone who knows the game would have seen I was out of my league. I try not to be as ignorant of my ignorance as I once was. The current issue of Outside is all about the secrets of survival. What it takes to stay alive. I am ignorant on this subject. The only thing I know about it, is from books, that when you're the captain, you're supposed to be the last man out, until you say "every man for himself" as Aubrey did. Also, what I read in L'Amour about always being aggressive at the beginning when threatened with a life saving situation. But people on this site are infinitely more knowledgeable than I on this subject as are all my kids and partner, who all had to spend a few days alone in the Vermont wilderness as part of the Mountain School they went to. So please, give us your survival things, and comment on what Outside said, so that we can survive better in speculation, a consummation devoutly to be wished, and which the all seeing eye would like to do so many things in this life over again related thereto. 4. Both parties become disoriented and lost and panic, running about. mistake 5. Their bodies are found days later a few feet off the path. All stupid mistakes, compounding a nice situation and tipping into irretrievable disaster. It is the same as Chair talks about: a good base of operation. Basic needs of the operation in the wild are adequate shoes, protection from weather, warmth and hydration, and basic navigation. The second main survival issues are the basic needs of human survival: water and warmth. One can go for days, and almost weeks without food, but without water, hours can bring on death. If the body goes just a few degrees below or above its normal temperature, body and mental functions shut down and the person goes into a stupor. It can happen in 70-80 temperatures surprisingly. Often, the simple cure to avoiding the above is just to stop. People have a real need to be doing something, and often it is not helpful and leads to disaster. How many parallels there are to trading! I have a simple survival first aid package. Loss of blood is one of main causes of battlefield death. Unless bleeding is stopped, death will quickly follow often in minutes. Cetox granules go in the wound and staunch the bleeding by forming clots. Pressure and bandaging or sealing with stitches or tape will stabilize until further help. Also in the kit are pain killers. Sprains and breaks are common, and pain killer will allow the party to limp or carry to further help. The commercial first aid kits are often a waste. Water treatment is top of the survival bag list to kill giardia and cryptosporidium that will cause runs and dehydration. A small tarp or space blanket and jacket will provide enough shelter to avoid hypothermia by blocking wind and rain. Tape such as dermoplast or even duct tape can be used to staunch bleeding, make splints and stabilize breaks and sprains. A good flint and steel and tinder and water proof matches will help build a fire to keep warm. That's about all in my kit. All the crap in the commercial kits tend to be useless weight. Most survival situations only last 3 days. By then 95 percent are rescued or dead. Just stay warm, drink water, and keep your blood inside you. About the only thing I can add to Mr. Sogi's excellent summary of survival techniques is to recommend the choice of tinder for the flint and steel technique. I have considerable experience from Boy Scout days with flint and steel. The best tinder by far is steel wool. I believe the reason is that hitting the steel against the flint throws off molten steel sparks which somehow are attracted to the steel wool fibers. In competitions I used to be able to boil a #10 tin can of water in 3-4 minutes. I occasionally watch the Les Stroud Survivorman show and he has some good ideas on the subject. Similar to Mr. Sogi. For urban disaster he emphasizes having a basic kit stored in a plastic container. In Stroud's view it is ideal to keep: 1) a week's supply of water and 2) a nice first aid kit (probably doesn't hurt for everyone in the family to take the Red Cross First Aid/CPR course or from another qualified provider. He advises having a 3) crank-up radio to keep in touch with outside world and 4) a shake, non-battery flashlight. 5) Water proof matches, 6) Rope, 7) a Multi-Tool. During the hurricane season a trip to Costco to prepare for a possible storm is important. Easy to pick up canned goods, water and other items needed. A little wine to share with your fellow condo survivors doesn't hurt either when the power and water go off for a week and you are sweltering without the A/C. I like a big lantern-type flashlight with fresh batteries so you can read a bit at night. At any rate, Stroud emphasizes staying dry to avoid hypothermia in the wilderness. Exposure is a big risk in the wilds. James has an excellent summary of important points. I will add (or expand on) a few. First, be very cautious when venturing into new territory. If one is experienced at hiking a certain path or mountain or area, Don't assume "it is all the same" when you go to a new place. Don't assume, "I know how to find my way". I grew up in rural New England and spent a great deal of time in the woods (back country type skiing, hiking, fishing, etc) from a young age. My families home was near a govt owned wilderness area, and over time I got to know the terrain extremely well in terms of having a mental map and orientation, but also things like natural formations that could be useful as shelter, etc. Knowing a wilderness territory is like knowing where the "utilities" are that you can access from any position. It is very dangerous to generalize such specific knowledge into thinking "I am good at finding my way", a mistake I experienced and learned from. Wear the right clothes initially, not just in a backup capacity. What is comfortable in ideal conditions (light cotton long sleeve T-shirt, etc) can be a disaster when conditions change. Material that is waterproof and/or maintains insulating ability when wet is always good. Extreme danger emerges out of "usual" situations and seemingly small challenges. It is hard to see danger without experience. For example a recreational hiker thinks, "that small rock formation would be fun to climb". The problem is, how it looks at the bottom (easy!) is a distortion relative to what one sees close up (unstable rocks, dirt, etc) from a now dangerous height. "From a distance" assessments are not an accurate judge of things for most people. Focus on external factors that reveal themselves through the five senses. Take the time to observe. Stop and listen. Look at shadows, type of earth you are on, gradient, sounds, smells. Getting into that observation mode, not talking, not focusing on your own thoughts but on what is "out there." Bringing the senses alive to the slightest changes in the environment is a significant survival skill. Experience coping with blood and guts, both literally and metaphorically, prepares one for survival. Many people are very deceived about survival situations because most of modern life is very safe, sanitized, and compartmentalized. Meat comes in a plastic package. "Someone else" does the dirty work. "Someone else" fixes an injured person. "Someone else" makes things safe and secure. People are squeamish about crossing boundaries, and when confronted with them can panic or become ill. An easy way to develop a natural survival mentality in any circumstance is to look for ways to cross boundaries before one is forced to do so. The sound of a heavy metal bell can carry a great distance. As I said, I grew up in a very rural area and our home was on a large number of acres. When I was out late fishing, etc, my mom had a very heavy metal bell that she would ring– a sound which would carry for miles and alert me to come home — and immediately, automatically set my orientation. There are plenty of ways that a low cost item like this can be used. Besides some of the other great pubs listed here, the US Special Forces Medical Handbook (a bit dated) can be found on amazon and similar for $10. There is plenty of food for thought for the non-medical professional for when the stuff hits the fan in a bigger way. 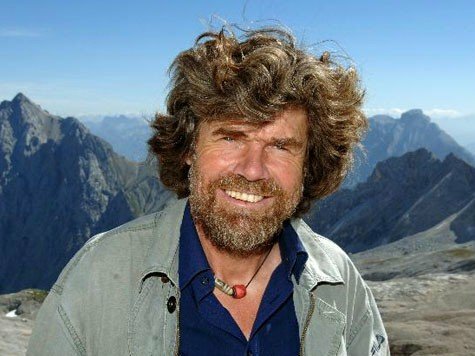 I remember well one of Reinhold Messner's simple tips. When in danger, you are yourself the very first level of protection (and also one of the best, since your reaction can be very immediate). So work well on this very first level, and don't count on somebody else doing the job for you. This is also a very libertarian and Randian tip. There is a fantastic National Geographic piece on famous failures. Pair it with "Fail Safe", Debbie Millman's necessary meditation on courage and creative life. Uncertainty is also integral to creativity, is the key to good science and good art, and may even be the key to happiness. For the history buffs, this is a really cool set of depression era photographs in color. Also, while I'm on the subject, I would not recommend the book The Worst Hard Time: The Untold Story of Those who Survived the Great American Dust Bowl by Timothy Egan. While the author does an excellent job describing the period, the book goes on too long painting the picture of the day ad nauseum. I had to put it down after 2/3rds in. 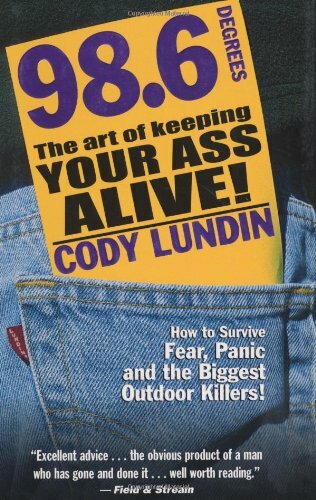 Sorry to hear that Vince didn't like this book. It was among the non-fiction titles my library book club included last year. At year end we generally review the group's opinion on our choices — this was selected as the "best" of the non-fiction selections. It resonated especially well with those older members who felt that their parents had informed them fully on just how bad the Depression (and the weather) really was. It also demonstrated that Steinbeck's Grapes of Wrath presented only a slice of what actually transpired…and that those stuck in the Oklahoma/Texas area had no place to run or hide — and that FDR's plan to plant two million trees where trees had never grown was a great "works" project, but one with little chance of success. More important (at least to me) was Washington's (and the east coast power elite's) ongoing indifference to problems in "fly-over" land. When one of the major dust storms engulfed the Capitol, remediation bills that had lingered in Congress for years, got passed overnight. Not having a legal background, I was under the impression that contract law was a phenomena of say the last couple of hundred years. And naively I have always been a big believer in a gentlemen's agreement under many circumstances. In a entertaining book called Men of Salt by Michael Benanav on the dying camel transported salt trade between the Sahara region of Taoudenni and Bamako, Mali, a reference to the ancient use of contracts surfaced. As the nomadic saying goes, "whatever leaves the head, does not leave the paper". Looking back in life, all things considered, how often would it have been in every parties' benefit to have terms clearly laid out in writing? Only 1/2 way through, I highly recommend the book for those who enjoy the subject of adventuring through Africa in all its forms. Contract law, in a form we would recognize, goes back to Justinian's Code. But, as with so much of modern life and practically all of Continental European law, Justinian's Code was regulatory; it specified which contract would be enforced by the state and which ones would not. The notion that the parties themselves could make an agreement about what they would do in the future comes almost entirely from the English common law. That was the legal experience of the people who signed the American Declaration of Independence and the Constitution; it was so thoroughly the basis for their understanding of what "the law" should be that you can find no direct reference to "the common law" in either document. As for not having a "legal background", Vince, have no fear, we are back to Justinian's Code; the idea that parties can actually make an agreement between themselves without reference to the state is as obsolete as Morgan's belief that "the character of the borrower" is all that matters in commerce. Now, in this age of progress, we all get to sign the same printed forms. It does, as a consequence of the Central Limit Theorem . Let's look at it empirically. 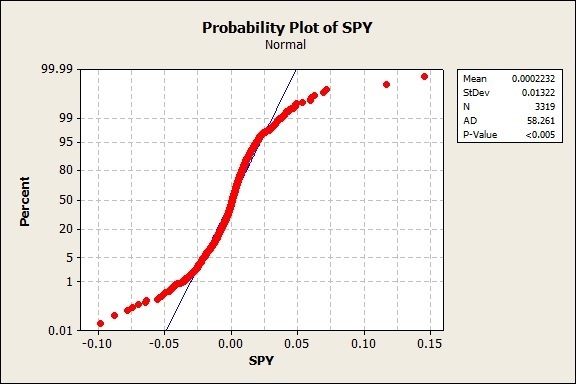 Here is the "Anderson - Darling" test for normality of daily SPY returns, 2000-present (SP500). Next is the same test for IWM (Russell 2000 ETF), 2000-present. Vic, I'm not sure that the central limit theorem is the right paradigm. An unknown is whether the covariance within the two groups is sufficiently different to offset the CLT. I have never tested this. And testing is tricky because you need to use compounded total returns with dividends reinvested. The index and stock prices produce misleading results because dividends are greater for big caps. What we do know is the implied volatility of r2k is almost always higher than the implied volatility of the SPX. I think this could be an analogue to the fact that out of the money puts are more expensive than out of the money calls. Put another way, if you are long SPX and short r2k in equal dollar amounts, you will usually make money during violent and persistent market downdrafts. I think this is proof that the distributions are different. Those are good points you make about areas that I should have considered in estimating the departures and distributions of comparative performances. It is also amazing to me that the statistical tests, especially the Kolmogorov Smirnov, show such departures. I am a great believer that the risk premium on untried and small stocks is much bigger and that they should perform better and that buying two handfuls of them will have a limiting distribution that converges to a return a percentage or two above the 8 % you get from the average NYSE stock. I must go back and check my premises. It reminds me of how I told the people in my family to buy the riskiest vanguard over the counter fund, and they tell me that they are always getting notes in the mail that the funds I recommended are being sued by their holders as the worst performing funds in history due to all sorts of wrongs of a practical and theoretical nature. I mean this response in a humble and appreciative way although it is sometimes hard to communicate that by email in the face of all the errors that are elicited. Like everything else in this realm, it depends on the unit of time used in analysis. If you use annual data, things play much more nicely to Normal. The shorter the time unit used, the less so. Jack Barnaby, the best rackets coach, never learned how to string rackets. He wanted to be a coach and mentor for the boys and not a stringer. My friend Larry Abrams decided not to let others buy his time but to do something he loves every day and became an investor. I don't know how tanki works or other computer games so I can't discuss it with Aubrey when he calls each day to talk about tanki. So I can talk to him about other important things. Life is short. Do what you love. Try to realize the things that you're best suited to do. How does this apply to markets? Don't take flyers in things that you don't know about. Study up on the field that you're involved in. Don't listen to experts? One excellent lesson I learned from the Chair after too much time on the sellside was shut off the media message almost entirely. In most instances, they highlight/profile those who are available and especially with a sharp witted sound bite. Neither of which makes for successful speculation. So true. Specialization, niche, is what scores big. Anyone achieving monopoly/oligopoly is real — just try to hold on to it! On a parallel subject, the greatest coups in marketing history were by leaders who cultivated a whole new consumer culture. Ford, Gates, Jobs, Zuckerberg, Dimon…who else comes to mind? A minor quibble about Anatoly's earlier comment about people who forged a whole new consumer culture. Ford and Hitler are not people who belong on the list. Ford created a new industrial culture but his "consumers" were as nostalgically retrograde as Dearborn Village. The customers for the Model-T were "country" people who used them as substitutes for mules and horses; the Model T was as mechanically simple as the small motor equipment that was already in use (cream separators, for example) so the farmers themselves could work on them. The car's greatest virtue were its high axles and body; it could navigate the mud of back roads in a way that other cars could not. The automobile consumer culture - automatic starter, changing body styles, pneumatic tires and brakes, dealerships and credit sales - were all invented by people other than Ford. But for Edsel, who managed to persuade his father to adopt some of these innovations, Ford might have failed even before the Depression (by 1940 it was bankrupt but was saved by WW II's war orders, rationing and tax laws which gave the family 6 years' relief from competition). As for Hitler the consumer culture of the Third Reich was even more backward-looking. The most successful industrial country in history was to become an empire of small-holding farmers - like the dairymen of the Bavarian alps. Women were not supposed to work (the most amazing single fact of WW II is that the Germans, unlike the British and Americans and, most of all, the Russians, never had any women doing any war work at all). I thought the Dailyspec should know that there is 50% off MIT press books till early June. My wife recently had a PET scan (eyes to thighs). Fairly routine and they've been around for years. We're required them 2-3 times a year. The bill came to $17,000 of which the insurance company paid $14,000 and we are responsible for the balance. This is with "the Cadillac" of insurance. From now on, I really should pay cash only. Per BHO's system of government, overburden those who have the resources to pay, de-emphasize or suppress the activities which will allow others to grow their own path to middle/upper classes, and kill the country's vibrancy. "Principal Component Analysis" is a dimensionally invalid method that gives people a delusion that they are doing something useful with their data. If you change the units that one of the variables is measured in, it will change all the "principal components"! It's for that reason that I made no mention of PCA in my book. I am not a slavish conformist, regurgitating whatever other people think should be taught. I think before I teach. Well, Prof. MacKay is wrong. In fact, I have made predictive models that have worked for years in real-world corporate environments that were based on PCA. Worse yet for the good Prof., all work done in the predictive modeling of optical spectra for the last 40 years or so has involved PCA or a related method. PCA transforms your data into a set of uncorrelated, unit length vectors. The first of these new vectors contains the most variation in the original data. The next vector explains as much of the remaining variation in the original data as possible, and so on. Each new vector is a linear combination of the original data into the new vector. The method is reproducible and quite numerically stable if you use singular value decomposition as the algorithm. PCA is a very useful way to reduce the dimensionality of a data set, say one that has many variables, to a smaller set of uncorrelated variables you can work with. To be fair, the new variables do not necessarily have physical meaning, but they often do, and it always pays to look at the weights applied to the original variables (called loadings in some of the literature). Today was a day that I lathered the face at 7:00, and checked on the prices and the shaving cream is still there. 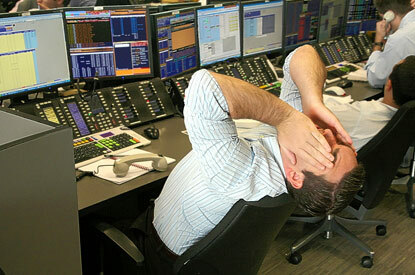 Gold down a nice 35 bucks and bonds up a point and stocks down 8. The Dax down 150 and crude down 2 bucks. A take away from the trading. When the pain is too great to withstand adding to the position, and you utter an "oh , no! ", that's when you should be standing solid as a stone wall and adding to the fortress, I think. I've been looking at some historical chart of the softs and other extreme situations recently and per the Chair's comments it is remarkable how quick and painful the washout can be before the trend changes direction violently and puts on multiples of the initial move. How many times if we just walked away from the desk for a couple of hours to read, jog, or do anything, would we return back to clover? If only one had the fortitude to stand firm at all times. A possible key is a human inability to shift attention time-scales, i.e, if one is used to thinking (stressing) ticks (minutes, hours, points), it's hard to switch to weeks or months, then back again — in order to be profitable under different states of the market. It may also help explain early buying and selling. This paper investigates the trading behavior of institutional investors immediately prior to the release of analysts' initial buy and strong buy recommendations. Using a proprietary database of institutional trading activity from the Plexus Group, we document abnormally high trading volume and abnormally large buying imbalances beginning five days before initial recommendations are publicly released. 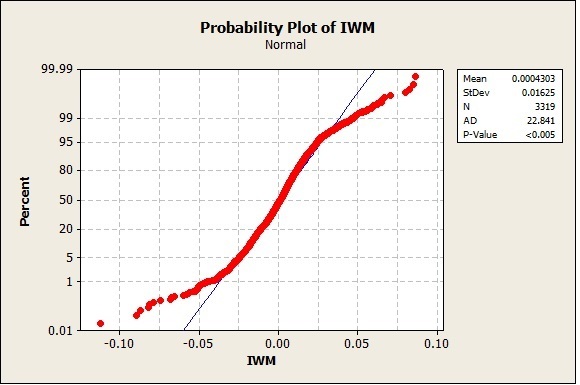 Furthermore, abnormal buying activity is positively related to initiation characteristics associated with greater abnormal price responses, including some that would require knowledge of the content of the report - such as the identity of the analyst and whether the recommendation is a strong buy. We confirm that institutions buying prior to the recommendation release earn positive abnormal trading profits. 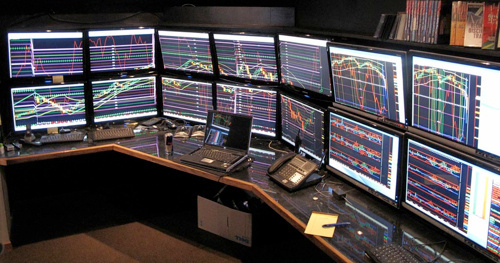 Taken together, our results suggest that some institutional traders receive tips regarding the contents of forthcoming analysts' reports. To the extent that brokerage firm clients who benefit from these tips are more likely to direct business to the initiating brokerage firm, tipping provides economic profits to the brokerage that can help defray the cost of analyst information gathering. Thus, while tipping benefits some traders at the expense of others, the welfare consequences of tipping are unclear. I hope CME has this process automated so as not to drive up operating expenses. I have always found it creepy when the exchange provides guidance/direction. But I guess it's no different than Saratoga." Technically the MKT is in a NEUTRAL DIGESTIVE position with all indicators counter balanced. I found this article about DIY weapons of the Syrian rebels. There is tremendous ingenuity there despite difficult odds especially as the EU and US yawn. Were the pics only slightly different during the American Revolution? Nothing happening in Syria matches the scale of the American revolution or its duration. It was not, in any sense, an uprising; it was a civil war comparable to the one that began in Britain in 1640 and it was fought between organized armies, both of which have current serving units that can trace their ancestry back to 1776. The American Revolution began with the New England militias and the Regular Army literally kicking the British out of Boston using artillery taken from Fort Ticonderoga and muskets that they already owned. What Washington struggled with for the rest of the war was the fact that the British were not going to stay gone but were going to use their Navy to come back. The fleet that arrived offshore in New York harbor was the largest amphibious invasion in human history - more men and more ship tonnage than the Mongols' attempted invasion of Japan, Alexander's siege of Tyre, Anthony and Augustus' triremes at Actium. It was also, by far, the longest voyage. That effort wasn't matched again in size and distance until the Allies landed in North Africa during WW II. The financial scale is also one that we have difficulty understanding. The war lasted for over 6 years and took Britain to the edge of bankruptcy. For what became the United States the result was total insolvency. 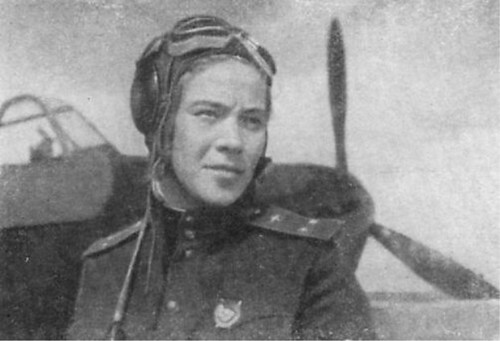 Lidiya Vladimirovna Litvyak was the young fighter pilot with the bouquet of wildflowers in her cockpit who shot down a dozen of the Luftwaffe's best pilots to become the highest scoring woman air ace of all time, writes author Bill Yenne. Have any of you been to Argentina lately. What is the situation on the street. I am thinking of going there on the way to Antarctica later this year. Is it safe? One thing to seriously consider even though it sounds like you are going thru mostly modern areas, Amex has an extremely affordable medical expense insurance while traveling. For a few hundred bucks, as I recall < $250 for my wife and I when we traveled to South Africa, they'll airlift you out of spots and take care of many extraordinary medical expenses. Considering you'll probably never use it but if you do, fees can run tens of thousands of $ depending on what your normal health insurance covers, brought us piece of mind. Everything can be done online. I just lost my best buddy here; heart issues. We tried med-evac but the reality is 1) you need a local doctor to agree to release, which they will not do unless stable and 2) before the plane/jet wheels up they must have admitting dr and hospital at the other end. Best is to charter. Don't tell anyone of medical issues-get aboard and then go to closest emergency room to airport. I would like to add to your thoughts. Once in the air and within US control, request the pilot use the LIFEGUARD call sign. This will notify the FAA to give the plane priority handling, direct routing and airport priority. In addition, here may be a helpful link. First: LIFEGUARD has recently been changed to MEDEVAC to conform with ICAO international standards. Second, and most important: If you are in ANY WAY fearful that your medical situation may be life threatening, communicate this CLEARLY to the crew and they will declare an EMERGENCY. MEDEVAC flights get priority handling when they request it. But EMERGENCIES — well, let's just say that controllers will move heaven and earth and every airplane in the way to get that aircraft on the ground at the airport of the pilots choosing. Most domestic airlines subcontract to a company that has professional medical staff on call 24/7 that assists them in determining the best course of action for the patient. They will get a doctor on the radio directly with the flight crew to assess each situation. I was watching an interview of Jim Rogers the other day and he was discussing why he ultimately settled on Singapore as his new home. He's clearly very into Asia for its growth potential (and issues he has with how the US is being run), and moved there with his family so his daughters would learn Mandarin more easily. When asked why Singapore and not, say, Shanghai or Hong Kong, he said he really liked those places, but they were just too polluted. So a man moves hundreds of millions, if not billions of dollars to one country but not another partly because of the relative cleanliness of the air. Now China has announced tighter air pollution regulations (ostensibly not necessarily to accommodate Jim Rogers). Of course there's a lot of new chatter around platinum and palladium (used in catalytic converters), but is there some kind of a bigger trend emerging? - "Do business here - we're cleaning up our mess." Have you ever heard the saying, "if half a spoonful will kill you, then why not a whole cup"? It means that if the Fed were to buy every asset that the banks have, with constantly increasing prices until the banks had trillions additional of profits, that it might be good for the economy as the banks used all this high powered money to make loans to the non- banks. Reminds one of the Dr. Doolittle story re: the push-me-pull-you but this one may have a very unhappy ending. Monetary pulls in one direction, Fiscal yanking in the other…Everyone can't be right. One might have much more faith that the bankers would instead find creative ways to the additional trillions off the table in the form of bonuses instead of lending to us business chumps. of course, that is good for the economy as they would use it to create jobs by building personal castles and buying stuff from Bulgari…..
One recently waited 15 minutes after making a big purchase at Barnes and Nobles while they held me up because the computer went down and they couldn't take cash, exact payment, credit card. At the end, they sardonically told me that if I had a complaint about the wasted time, effort and treatment, I should talk to their manager. On the other side, I read in John Mackey's new book Conscious Capitalism about how when a hurricane hit a Whole Foods in Conn, the computer broke and a lower level operative without any feedback from headquarters gave everyone in the store free goods for the 1 1/2 hour that the computer was down. They got millions of good will and publicity as an unintended consequence. A study in the book shows that companies that cater to the customer, and employees and suppliers as well as the stockholders have better performance than the average. Panera and The Container Store are examples. I wonder whether this is a real effect and whether these companies will perform better or worse—- and the former will never get my business again and the latter will. What's your experience and view. My wife works in the textile area of Target, I have tried to look at its operations with a jaundiced eye as a financial analyst would. I've always felt welcomed and well treated there without their knowing we were an employee family. I bumped into a colleague at Costco today who quizzed me about the recent tax changes. Not sure why he thought I would know, but after 5 minutes of listing the various relevant increases I asked, "Do you have time for more of these?" "Not really", he said, adding "You've already depressed me enough". "What are we going to do, raise fees?" he asked. In the wake of recession we have not raised fees, and in many cases lowered them. It is better to stay busy and build good-will when people need it, and raise later when discretionary demand increases. Increased taxes ordinarily reduce demand. But for businesses with existing demand, they are inflationary. Maybe the FED gets what it wants (inflation preferable to deflation), and the agrarian organizers do too. 1. To what extent do people and organizations act in their self-interest? 2. If (1) is 100%, then any act of altruism MUST BE motivated by either reciprocal altruism or goodwill. If (1) is less than 100%, then any attempt to answer (1) is hopelessly complicated using a rational/analytical framework. And I won't go there since it's a moral argument. 3. A paradox arises because except for reciprocal altruism (i.e. keeping your counterparty in business so he can buy your goods and continue to service your needs), there is a irrationality that occurs for any action which isn't in one's self interest (for both the seller and the buyer) For example, if the customer is rational and self-interested, then ANY warm and fuzzy feelings towards a vendor are not rational if those warm and fuzzy feelings arise because of a historical and non repeating gesture (giving away goods during a power failure assuming that the goods wouldn't otherwise spoil.) However, in contrast, convenience IS rational and is part of the value proposition. That is, a vendor who doesn't make you wait in line when the cash register breaks has a superior product at the same price for SOME (not all) customers. And ceteris paribus, that should garner more business (for some, not all) customers *IF* he doesn't have to raise prices for a massive fault-tolerant computer system. If he has to raise prices for a massive fault tolerant computer system, then the customer who doesn't care about waiting in line won't shop there anymore. But the lone vendor who tries to gain a lasting competitive advantage by giving away milk and bread during a blackout will fail — since the goodwill generated by this will quickly fade and there's no lasting benefit to the customer. Every economics question can be solved by recognizing that: 1) Incentives Matter. 2) Resources are limited. And … then it's simply a question of utility curves. BUT BUT BUT if there is a moral aspect to the question, then all of the rational analysis goes out the window. And that is, I think, what Whole Foods was trying to do. Right before Hurricane Andrew hit South Dade County and went across the state to hit Naples and Collier County, Home Depot was giving away 4×8 sheets of plywood……just had truckload after truckload, bringing it in to offload it to anyone who wanted it for free to board up windows etc. Their main competitor, Scotty's was gouging, and charging $40 per 4×8 sheets. In the aftermath of the storm, Home Depot kept their prices down while Scotty's jacked them up. Scotty's did the same thing after Hurricane Charley. Much editorial space was spent discussing this in the Miami Herald, El Nuevo Herald, Sun Sentinel etc. Scotty's reputation suffered greatly and eventually went out of business at the end of 2005. There was lots of bad karma and my builder friends avoided Scotty's like the plague. Scotty's said they closed all their stores because of the hyper-competitive building supplies market…..this was when Florida had the biggest construction upswing in history. Again, real bad karma. Home Depot is still a viable corporation. Because of Scotty's actions(and that of others), Florida passed a non-gouging law in 1993 which Scotty's still ignored in 2004. In Predictably Irrational, Dan Ariely devotes a chapter to "social norms" (the friendly requests people make of one another) vs. "market norms" (you do x, I'll pay you y). People generally see social norms and personal relationships as being on a higher plane than mere market transactions. In one study cited by Professor Ariely, implementing fines for picking up children late at day care centers actually increased the frequency of late pickups. Before the fines, the parents felt bound by social norms and felt guilty for inconveniencing the day care providers if they were late. After the fines were implemented, a late pickup was reduced to a mere market transaction: I want to be late, and I am paying for extra service. My guess is that companies such as Whole Foods that serve customers beyond the bounds of how customers expect a profit-seeking corporation to behave elevate themselves on the social vs. market scale and thereby gain much customer loyalty. People are cooperative beings, they want to feel they are in a partnership where one looks out for the other. While the individual is the driver of innovation and change, progress is made by the most connected in ideas. Arts, science and technology thrive is these highly cooperative environments such as the big cities. Ideas are one thing that the sum of the parts can become exponentially more. If the business really is adding value, then they display it by highlighting cooperation with their customers. Because long term the good will makes them more resilient and able to grow. Whereas if every transaction is a zero sum game, then the signal to the customer and investor is short term thinking. There is a tinge of buyer beware for the customer and an touch of desperation to next quarters results to the investor. The entrepreneurs I know who are successful only do it because they love the business otherwise the risk the stress and the heartache are not worth the money or the effort. I believe Jobs showed the world that at some point it is no longer is about the money, it is about making a difference, giving others what they want and of course "beating" your competitors. If you can do these 3 things well it is like having a blank check written by the world. Yes, that's another way of looking at the situation. But Jobs is Jobs, and regardless: when confronted with a situation where a person (or an entire business enterprise) who doesn't know you from Adam is particularly accommodating and friendly to you, you have to decide whether (a) that's just how they are (b) they are doing this to get repeat business as a calculated move (c) they are conning you (d) they saw you and really fell in love with you. The thing is, it could be any combination of these or something else. All I'm saying is that a "they are giving stuff away" or some equivalent to "therefore I will make them by business/partner of choice for a long time" isn't always the most rational thing to do. One really should only feel gratitude to people who are doing it for un-selfish reasons while recognizing that a good businessman will often behave "nicely" as opposed to being a jerk. Clearly almost all expressions of "good will" and cooperative behavior by businesses are self-serving. The rare exceptions are of the nature of some owner or executive clearly touched by the misery of his customers and/or employees and doing something good for them just because. Cooperative, reliable, and resourceful businesses do add value by not wasting their customer's time and money and not aggravating them, so often everybody wins. Sill in many of these situations have to be analyzed carefully because you are typically not dealing with friends or relatives. Otherwise one can become a "victim" of deception, as someone who buys a company's product because its advertising agency made a particularly effective commercial that is often in no way related to the quality of the product. I'd like to share a story that happened this weekend. A number of you know my hobby is racing sailboats. Well, I'm on a number of forums and they have members that range from the grouchy to super nice and helpful. About six months ago, a fellow I'd never met or spoken to offered to lend me a sail to test an idea I had been struggling with. There was not a request on when to give it back; in fact it was open ended. After dealing day in and day out with the squids of our occupation, the offer seemed too nice. Something worth $200-$500? Just drive over to my house and you can have it. Really? This is Los Angeles! Well, in a race this weekend we all got to talking about boats we had owned and one of the guys had the same as mine. We started to compare notes, forums, parts suppliers etc. It turns out he was the guy who made the offer. I was ashamed at how genuine and nice a guy he was, and what I had suspected. I only bring this up as a probability point…no matter how pissed you can get at humanity, the percentage of genuinely nice folks is always above zero. I'd forgotten that lesson. You guys often remind me of that lesson too! A friend will ask you what you think of gold. "It's below the round number," the personage says. "Well, I doubt anything bad could happen near the end of year you say. Christmas et al," you say. The friend buys, wets his or her beak. News of liquidation of big gold bugs hits. Gold has the biggest drop of the year 50 bucks in two days. You don't look like Marilyn Monroe or Paul Newman in the friend's eye as the case may be. The big leg down in bonds seems to have been the hammer on all things. On nights and days like this, however, one cannot help but think about Profitable Grain Trading by Ainsworth-- his basic system looked to by the lows of the prior month 7-9 months before final expiration and weekly lows once the time to expiration was 3-4 months. I think his explanation of the economics of discounting futures is conceptually sound. One cannot help but notice that the Aug futures low in gold in Nov was 1680.90 and we just traded through that two days ago. Not bad, an 80 year old book which in reprint still runs around $50. Can't say that about the vast majority of trading tomes. It was reviewed on Dailyspec a few years ago by Mr. Sogi. Rome: an Empire's Story By Greg Woolf gives and excellent review of the reasons and history of the rise and decline of Rome's empire which was kept relatively intact for 1500 years. The rise he attributes to efficiency, trade, and military success. The fall he attributes to weak alliances with neighboring countries to rule the provinces, and lack of incentives to produce from the provinces. I find many parallels to the present. The good news is that it took 1500 years to disintegrate. I am partway through volume 1 of Gibbon's The Decline and Fall of the Roman Empire. There was little incentive for the emperor to rule for the benefit of his subjects rather than for his own pleasure. Rome became a military kleptocracy after the murder of Commodus in 192. The armies knew they were the source of power and demanded an exorbitant price for their support, beginning with the Praetorian guard's murder of Pertinax and subsequent auction of the throne to the highest bidder. Frequently contending for rival generals to seize the throne, Roman armies put more energy into fighting one another than fighting the enemies on the frontiers. "Romans imagined [the empire] as a collective effort: Senate and people, Rome and her allies, the men and the gods of the city working together." This continued as Rome passed from the Republic to the Caesars, who were kings "even if [Romans] could never bring themselves to call them by that name." It is "a history of remarkable stability. If it was largely true that (as one historian has put it) 'Emperors don't die in bed,' it was also true that the murders of many individual emperors seem to have done little to shake the system itself." Since "decline and fall" is the current meme, one should hardly be surprised that publishers and their authors want to cash in on the latest craze. (That is all publishers ever do; and authors, poor things, are usually desperate to oblige.) Professor Woolf should have resisted the impulse. He certainly knows better. The "collective effort" he describes is a complete fairy tale. The Empire never even developed a common language; our "classical" education notions are based entirely on the fact that rich people had too know Greek because that was the commercial language of the eastern provinces — which was where the money was. Latin was for the inscriptions on the public buildings and for the official orations and the school examinations but the "common" people continued to speak their own tongues. Even the Army relied on whistles, drums. and flags for its "commands" when it took to the field. This explains why Latin itself became almost instantly obsolete even south of the Rubicon. No one writing about the Hapsburgs, who did manage to keep their own Empire running for a good long while, would ever have offered up such fictions about "court and people, Vienna and her allies, the men and gods of Vienna working together". But, we have enough information to know that the court spoke French in that Holy Roman empire. The beauty of Roman history is that there are so few actual facts that survive that one can make the story whatever one wants it to be. The key is "1500 years". It's not going to fall apart in the next 100, that's for sure. The difference is that they couldn't do state borrowing in anywhere near the same proportion to their GNP as the US can. It also took less than 100 years from the peak, however defined to really difficult times. And as "mr. grain's" article demonstrates in less than 200 years from the peak free people were volunteering for slavery to avoid taxes, an inflation rate of 15,000% was experienced, free employees were essentially made into slaves at their places of work, and women, children, and parents were physically hauled off and abused to get to the tax evaders. All due to overspending and overtaxation. Also for whatever reason they limited the free grains to a relatively fixed number of people, and the amount was small for quite a long time. Their modern equivalents today with a much more advance education in economics talk about redistribution with such excitement and such lack of concern for where this is all going that would make Nero proud (I mean the part about fiddling while the Rome burned, except they are not fiddling but setting the fires). I am still trying to understand how a society flourishes with reported median family incomes stagnant or below that of a decade ago? And there is no sign the worker is gaining any bargaining power. Sure the govt can artificially tinker with rates reducing the carrying costs but someday existing debt must be paid; at least at the consumer level. It is debt assumption for non-producing overpriced (after debt service costs are added in) consumer goods which will kill this country. I agree with that to a large degree…..crony capitalism at the expense of everyone else is a cancer in any society….the problem is not capitalism exploiting the workers. it is the complex and intertwined relationship of business and government that does us the most harm. Eisenhower was right. I think the malignancy has metastasized much deeper than that, and now sits in a kind of acid bath (the pending "fiscal crisis') where all else is peeled away and we see it clearly (in fact, the fact that people seem to NOT see this clearly is evidence of its metastastization) and it is this: Our society — at every level — is characterized by a desire for more rules, and an exception of those rules for ourselves. Talking different tax rates is a carve out. The argument that the elderly should get a carve out. The birth control carve out. The government worker's salaries untouchability as a carve out. How about when the White House issues exemptions to Obamacare? Affirmative action is a carve out. All corporate socialism is a carve out. Every bill passed by Congress does not apply to them. I call that a carve out! The white lady's sinus-snort lament, "This is RIDICULOUS!" always pertains to her being denied her attempted exception carve-out to the rules. That's the cancer. The cure would take a lot more than Mitt Romney, and likely cannot be cured by a single individual. History doesn't exactly repeat, usually, an incident is followed by another incident of similar cause but differing results and often differing in duration. I don't think we're going into a 1,000 year long dark ages. I think we're racing headlong now to something far more sudden and shocking, and bigger than any one man or political party can purge from our psyches. I used to think the revolution was just around the corner, society was fragile and was about to come apart. Not now. Look at NYC and Sandy: that was an amazing comeback. The recession was bad, but the economy is slowly coming back. Things are not bad now. In the 1940's there was nuclear world war. Japan, Germany, Europe came back. Russia fell apart, but now is back. China killed 10s of millions, but came back strong. People are resilient and social systems are strong. The apocalypse is Hollywood and journalistic bogus hokum ballyhoo. The same is true of the US post-Civil War. Nothing before or since has had the social and economic impact that that war had. The US is more adaptable than Rome was. As Peter Drucker often observed, the US genius is political. One of the signposts that Rome was done was when it was no longer able to rely on client states for security. That isn't the case now with the US. A better paradigm for guidance might be the Persian Empire. I keep coming back to the debt issue, the current size, and the ability and desire by "the powers that be" to accumulate more at an astonishing clip. Four years ago I predicted a debt-driven collapse that Rocky chided me for so much, and while the timeframe now seems indeterminate, what IS the way out without a currency collapse and all that follows in those types of situations? The bond vigilantes are not too concerned, and they know all, but what is it that they see? Can they see far into the future or are they playing musical chairs? I'm reminded of the comment by Jim Carville, Bill Clinton's political advisor. In a re-incarnated life, he said, he wanted to come back as the bond market. "It can intimidate anyone it wants to." I am reading the excellent book P.J O'Rourke's On The Wealth of Nations. He gives a general introduction to the wealth and then goes chapter by chapter illuminating the relevance for today of Smith's ideas. Four of the fundamental insights that I find helpful in looking at the present are. 1. Consumption is the sole end and purpose of production. This is a nice thing to keep in mind with all the rebuilding after floods and natural disasters. 2. Self interest is good and natural. Incentives matter. People work harder when pursuing their own interests. In the old days, people had to subject their egos and aspirations but in modern times the breakdown of feudalism has allowed people to pursue happiness. 3. The way to increase wealth is through specialization and division of labor. Eveyone has a comparative advantage at some trade or fancy. 4. Trade creates mutual benefit. Bettering the position of one person in a trade invariably tends to better the position of the other person in the trade. Wealth is not a pizza. If only those who wish to take from one class like the rich and give to another like the middle class would understand these 4 principles, the world would be a much better place. Vladka Meed, who smuggled weapons into the Warsaw Ghetto and, after improbably surviving the Shoah, made sure we remembered what had happened, has died. It was my great honor to have met her on a number of occasions. She was the definition of heroism. 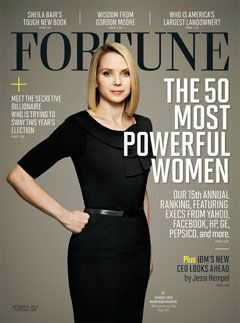 A great article about her is here. I just got back from a week at the Hilton Hawaiian village on Waikiki beach. Upon entering the hotel room for the first time, the phone indicated an "urgent message/package/etc." for us. 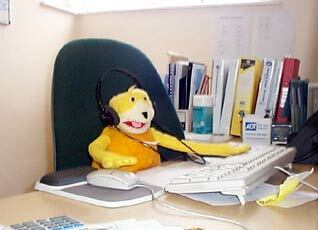 Dialing the number for said urgent item, no one picks up on the other end after multiple attempts. Maybe by design? Knowing that barring a national emergency, everyone important can get me on cellphone, email, text or twitter and it being the end of a long journey, I wait until the next day to inquire about it. Since the front desk is jammed, I ask at the concierge. We're given a tote bag of nominal value and then the staffer proceeds to offer us 2 tickets to the hotel luau so long as we are willing to sit through a 90 minute sales presentation on the timeshares in the next building. When did the concierge become a full blown pitchman? "Sheesh", I think, just when I am looking for some peace & relaxation, I experience the first of numerous efforts over the next couple of days to be offered "a piece of the big island". It would seem the whole staff is incentivized to push guests into the process. Thankfully we had a rental car and escaped to the beautiful and pristine North shore with its great snorkeling and food trucks. As an aside, we were told that Japanese travelers have slowly stopped coming to the area. I kind of expected as much given what I thought I knew about their economic malaise. Contrary to expectations, the young Japanese 20 somethings still seem flush with disposable income and were partying like rock stars. I guess 2/3 of the people in the restaurants, hiking trails and beaches we visited were Asian with the vast majority Japanese. Relatively hard currency and a foreign destination makes for a raucous time. For those with continental US sensibilities, $16 glasses of Barolo and $20 glasses of mid-range sake gave one pause. Luckily there were some excellent high end beers available. We can definitely recommend Alan Wong's, Orchids and Marukame Udon for a sample of the best Southern Oahu has to offer. Next time, we'll hit some of the other less touristy islands but it was a great first intro to the region. I am on Al Arabiya's twitter feed given the likelihood of portions of Arabia/Africa to flare up and potentially affect us. Yesterday, there was a small bombing attack in Bahrain which killed two foreign workers. What was so remarkable about the event was upon linking to the website, the front page had a full on side picture of one of the poor souls who had lost his life. The pic's distance was from no further than 1-2 feet and the lethal and grotesque damage to the victim's chest by the blast was immediately apparent. It struck me that such gritty, realistic footage would rarely if never be shown by the western media. Is there a huge divide in the way events are homogenized for our citizens by the powers that be while the Middle East experiences the true consequences of war and smaller sporadic conflicts? Perhaps I am harping on the ongoing attempts to keep US citizens small and distanced from reality. Not that the ME is a bastion of individual freedoms & liberties. What are the popular phrases used in our business. Things like "risk on" and "challenging" and "restructuring". It always amazes me how book value of a company can decrease while its operating earnings go up. "Risk-adjusted returns" and "risk tolerance", which seem highly presumptive. "the fed/bernanke put will protect you"
"Fools dance but the greater fool is the one on the sidelines watching them dance…"
"Esp. If they are earning ZIRP"
'In its initial usage, it referred to the point in a television program's history when the program had outlived its freshness and viewers had begun to feel that the show's writers were out of new ideas, often after great effort was made to revive interest in the show by the writers, producers, or network. 2. "thrown under the bus" which evidently was first used by sportswriters around the 1990's. "It's unclear where the phrase came from, but there's no doubting it's having a heyday. There are bus-throw references in the late '90s, mostly in professional sports. (Players who don't get their contracts renewed are often said to get you know what under you know where.) The phrase turns up in politics in 1999, according to a database search, with its maiden voyage courtesy of a press secretary for a candidate for mayor of Philadelphia." Perhaps in some ways the revived usage of these (and many other) turns of phrase are indicators of overall public sentiment. One wonders what that interesting personage would say about our inability to defend the Libyan compound and the amazing staged efforts of the militants to overcome 4 or 5 lines of our defense including the charted airline from Tripoli. Upon boarding the shuttle at LaGuardia bound for DCA yesterday I heard a very distinct, deep, German accent coming from the first row of seats, which could only be coming from one person. I looked down and saw Henry Kissinger chatting with his neighbor. For some reason I had forgotten that he was still living and was a bit taken aback. He looked quite old but in good spirits. I am into the early chapters of Lone Survivor, a book written by a Seal Team member re: his early 2000s experiences in Afghanistan. I had no idea how hamstrung the boots on the ground were by rules of engagement (ROE) made thousands and thousands of miles away from the battle. He attributes these unrealistic rules to the direct loss of 3 of his squadmates. It parallels the stories of cruise missile operators with OBL in their sights. Regrettably they were unable to fire unless they received approval from then POTUS Clinton who was more worried about his own selfish pleasure with Ms. Lewinsky. "The Waiting Game" By Frank Partnoy is a great read. Take, for example, their approach toward the "too-big-to-fail" risk our financial sector famously took on. Honeybees have a failsafe preventive for that. It's: "Don't get too big." Hives grow through successive divestures or spin-offs: They swarm. When a colony gets too large, it becomes operationally unwieldy and grossly inefficient and the hive splits. Eventually, risk is spread across many hives and revenue sources in contrast to relying on one big, vulnerable "super-hive" for sustenance." One notes that all the baseball swings end at the opposite shoulder and usually with the opposite hand holding the bat. That's similar to the way the good one handed backhands are hit and one of the 10 lessons I learned about improving my weak backhand. One thinks of the palindrome. He fired his kids in the summer of 2008 so he could bear the market down. He took on the Bank of England when he thought that the pound was too high. He often swings for the fences. Even his vulgar former partner liked to go for the fences when he had a profit for the year. The most intelligent thing I've ever read about the former soft commodity trader now a philanthropic fund of funds is that he likes when he's had a loss to ride it all the way up for a profit. There must be something to taking a full follow through to the opposite side that can be quantified in markets between and within. 3. But that's where the key event took place: Market saw my back to the wall, barely holding on and unable to add — but Market was so desperate to buy RIGHT HERE, that it couldn't even wait a tiny bit (for me to throw in the towel and give itself an even better price). Now, that really proves my original idea. - …Getting Published (PDF) So, what would your ten simple rules for good computational science be? When I was a kid, my father got the family out of blue-collar South Philadelphia to blue-collar Wildwood, NJ for the entire summer. The beach towns of New Jersey are either nice or tacky, and Wildwood was extremely tacky, with most tackiness related to its boardwalk. When you are at the seashore for the summer, collecting shells wears a little thin, so a friend Buzzy and I got a discarded window screen and would go under the boardwalk just below several pizza shops and shovel sand into the window screen. Patrons reaching into their pockets for coins would regularly drop some through the slats in the boardwalk. A few hours work would produce about two bucks each for Buzzy and I, and that was in the days when a quarter could buy you a slice of pizza. It was dirty work, but rewarding. And of course the dirt was easily washed off in the ocean. Invariably when one of the other kids would find out about our wealth their comments were, "You guys are sooo lucky!" Luck had nothing to do with it. There was a distribution of coins that would fall through and a lot of work by the harvesters. The same is true of the markets. Bill, your experience reminds me of that failed, but magnificent musical, "Paint Your Wagon" where Clint Eastwood discovers that the gold dust gets spilled on the floor and falls through the cracks. Eastwood, Lee Marvin et al proceed to dig tunnels under the entire town and they collect all of that spilled gold dust. They do extremely well for awhile, until a black swan moment where everything collapses and the entire town caves in. There are many market lessons in this movie. About 2:50 of this video is where Eastwood has his eureka moment. For those who have never been to Chair's Weston office, right next to the Captain's chair is a painting depicting a similar scenario. Not sure if it is a L'Amour story but the gold miner/spec is on the verge of hitting a nice vein while the precariousness of the surroundings become increasingly more apparent. The moment on the razor's edge is caught perfectly. Synergy is great. I have been using it across two of my Linux laptops. Very convenient. The other two nice little open source software I would share are Redshift and Calise. Both are great help to the eyes. Redshift automatically adjusts screen color temperature according to one's geographical location and time of day. Calise automatically adjusts screen brightness according to ambient brightness that is obtained from the camera on the computer. This is only needed if one's computer screen doesn't have light sensor. "The weak job report confirms that the US is vulnerable to a European situation that is going from bad to worse" said Mohamed El-Erian, CEO of Pacific Investment. Query. How did they let him out of Harvard with all these self serving, self interested ideas and talking of book. It's an interesting statement in that it's mostly true, or could be, but it distorts the cause and effect and shifts the blame. The weak job report confirms that erratic, Marxist/radical and pro-flexionic policies destroy economies, but as a side effect they do also make economies more vulnerable to external shocks. As to whether it's more important that the US is vulnerable to the European slowdown or the European economies are vulnerable to the insatiable appetite of the US for consuming all available lending capacity in the world (while of course killing themselves at the same time), that's an open question. Perhaps while job tsar, Immelt, found boll weevils in the domestic silos. The latest Inc. Magazine (June 2012) is probably one of the best magazines I've come across in 12 months in terms of sheer content. All in all, chock full for those trying to grow their (operating) businesses. Great for a long weekend catching up on reading. The awarding of the trophy to The Artist shows how 100% of voters are tilted towards the "change man". The trophy had to go to the show that had the least attendance during the season to keep man small, and to show how the public is stupid, and how the arbiters in the academy are on a higher plane of significance, a higher aesthetic than you and I. How long before they all get invited to the Oval, and how consistent with the idea that has the world in its grip, and how bearish for the long term market. Considering much of Hollywood's output, it's surprising The Artist didn't also capture Best Screen Play…. That's funny, Mr. President. But The Academy Awards is in the main a profit making deal which must cost 1.5 million a picture to enter, considering the perks and costs. The 1.5 million for the lowest budget film, The Artist representing a 10% capital contribution has the higher return to that input and is show in to win if it shows how deficient and low brow the public is in its taste. How beautiful to give it to one without talking that went out of style 100 years ago to show how we need redistribution and a raising of the capital gains rate as a solution to our problems. I was discussing a similar matter with someone this weekend re: Gingrich's plan for $2.50 gas. While not focusing on any one political party, what is it about the US citizenry that keeps them accepting (broken) promise after (broken) promise? Thereby guaranteeing they'll stay small. I suspect that the GAP's ability, and willingness, to get snookered by political actors and parasitical systems time and time again is the dark side of what, turned over again, is an exceptional ability and willingness to imagine enterprises and undertakings which in many other places would be cast off as unrealistic, insurmountable, or unnecessary. Essentially, I believe that productive/entrepreneurial optimism is yin to political optimism's yang. Hey Vince, I don't think war events are bearish. How about bad eurozone IP and German ZEW conditions numbers on Tuesday or bad eurozone and German GDP numbers on Wednesday to get the de-coupling crowd thinking again? (disclaimer: I have never been right). Yes indeed! Bring a new headline to the fore, raise a signal, blow a horn–anything but the same old boredom. There was a time when I would sit down and hash out 10, 20 or more "things or scenarios" that could happen to pitch markets off center. Even after thinking quite outside the box, in the box, and on the box–military, financial, political, mother nature, etc. I could never seem to guess right–the markets always had a new one, or a "dumb" one that I thought not an issue. Outside of mental exercise, boning up on geopolitics and such, the benefits of handicapping the unknown catalyst that will jolt the markets seems less important to me. The thing to realize is that something will happen, sit back and enjoy the surprise. The market lulls us now into its lovely and comfortable bosom of low vol–sleep little specs, sleeeep–it's time to sit up straight, let the cool snowflakes rouse the poppy fragrance from one's nostrils and keep awake. As now table banter has turned towards a new and safer market, easy returns, low priced protection, 8 weeks of this blissful gentle lifting and stretching will most likely be shattered by something "out of the blue". Apple at 500, facebook getting in while the getting is good–two talking poppies. 1. It is remarkable to have a streak of 30 consecutive days go by in the SPU's without a move down of 1/2% or so broken like it was on Friday. The way it was broken with an up from open to close after a down open of 1%, yet down on the day is equally remarkable. It shows to me that the recent spate of 15 days with a vix below 20%, and volume below 2 million contracts is causing strains in the underpinning of the market, as there's not enough happening to cause the public to lose as much as it should to keep the wheels of commerce going (although less would seem to be required when the market goes up 15% without a single down day of consequence). It also shows the infinite creativity of the market. One notes also that this is the longest stretch of daily S&P moves without a decline of 0.5% going back at least 15 years. 2. 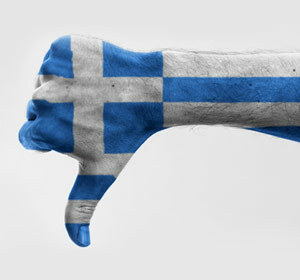 How many times does the market mistress pull out of the hat "Greek Deal Falling Apart" one day and cause massive public selling and then the next– "Greece Parliament Approves Austerity Plan". It's happened about 10 times, and countless billions by the public has been lost. You'd think that the same old overreaction to bad news gambit would not work so many times in a row, but …. we're close to a 50, and I guess anything goes until we get there. I could never figure out why the market (as opposed to some of the participants) is interested in keeping the wheels of commerce turning. It the wheels are not turning, someone other than the public is losing more than their "fair share" to use O's favorite expression, but how does that translate into a market counter-reaction? A very informative and interesting infographic of the anatomy of good web design. How is this behavior any different from an inconvenient truth applied to the financial arena: "Treasury Statements Omit Projected TARP Losses, GAO Says". Might this be called the decoy or the perfect lie where you tell a little something about what you did wrong so as to omit the big thing? Galton reported that it was always necessary to cache some very invaluable loot at your hiding place while caching the real loot in the overhead branches of some impenetrable tree. Perhaps someone will recall the name of that impenetrable tree so it can be compared to the decoy. How much have they loaned to the banks e.g. and what is the opportunity cost of that? Here is an interesting post on Event Processing Thinking by Opher Etzion, a road map for knowledge workers of the future…from an IBM CEP researcher. Some of these terms are not self-explaining, so if you are interested in the details - read the article. It is interesting to see if the educational systems — from kindergarten until university level will change fast enough to cope with future competencies. Twenty years ago, if you made your own speed figures [a method of standardizing horses’ running times for comparison, popularized by noted handicapper and Washington Post columnist Andrew Beyer ’65] and followed horseracing closely, you had a real edge over the majority of the public. But now, so many of the bad gamblers–the people who should be pulling handles on slot machines–have left racing for casinos that one of the great regrets of current horseplayers is: ‘Where did all the suckers go?’ You want to be betting against people who are betting based on colors and jockeys and hunches. 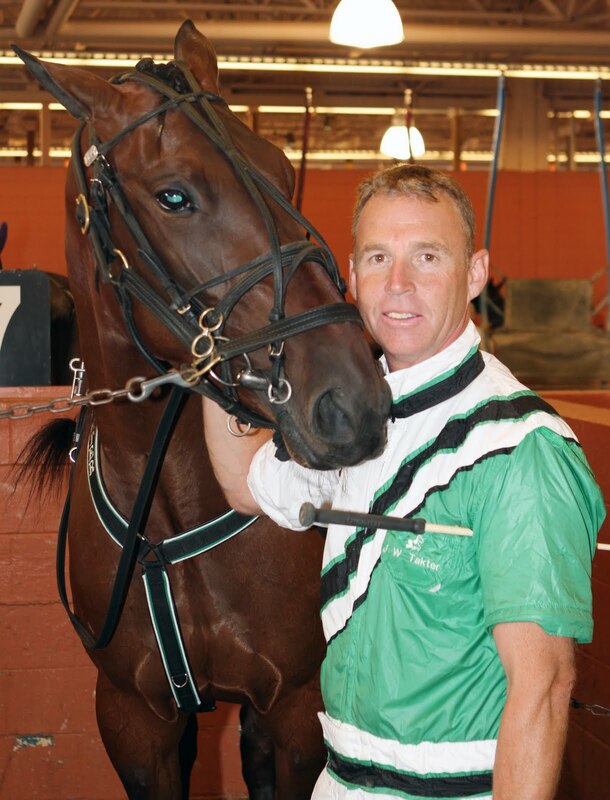 -from Harvard Magazine article "Horseplayer extroardinaire"
Who’s the sucker in the markets today? For newer SLers, the silo was a figurative term used by the Chair for Jack Welch's honey pot as some buysiders call it.